Gables 820 West is a key piece of the revitalization of Marietta Street in west Atlanta. It’s 248 units, cabana lounge, saltwater pool, state-of-the-art fitness center, billiard room and accessibility to the city make Gables 820 West perfect for Atlanta’s young professional. The industrial aesthetic of Gables 820 West pays tribute to the historical nature of the surrounding neighborhood. 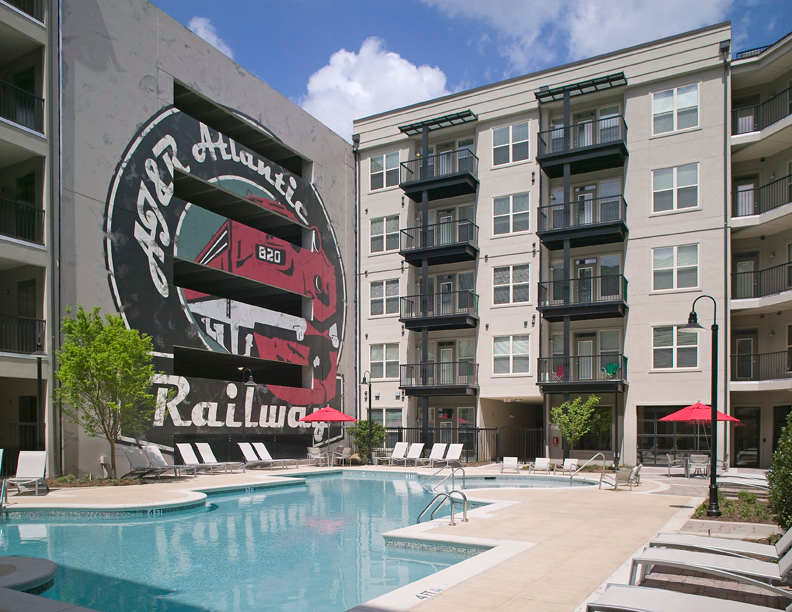 A large mural of a train is featured on the façade of the parking deck in the pool courtyard, paying tribute to the Western and Atlantic Railway, which was once a main artery in and out of pre-Civil War Atlanta along Marietta Street. The brick and stucco exterior of the building respects the architectural history of the area. Gables 820 West is now the signature rental development in the area and easily recognizable alongside its well known restaurant and gallery neighbors. - 215,000 heated sq. ft.